World Mines and Mineral Resources allows you to list/ show maps of mines or mineral resource locations around the world. 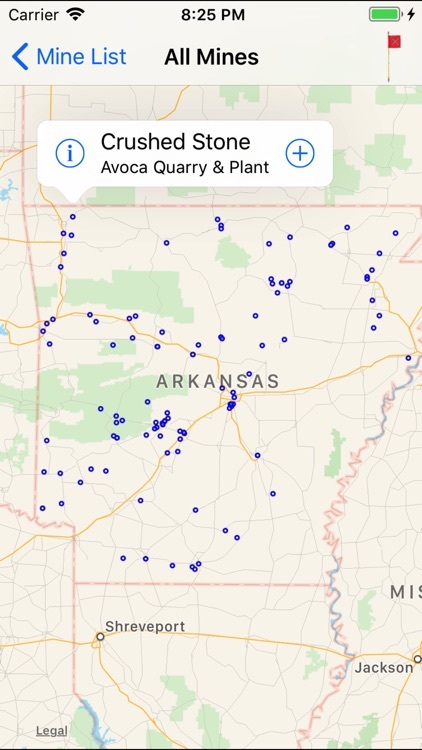 Data on over 215 Minerals INCLUDED. Anything from Aggregate to Zirconmium and everything in between including Cooper, Gemstones, Gold, Silver etc. 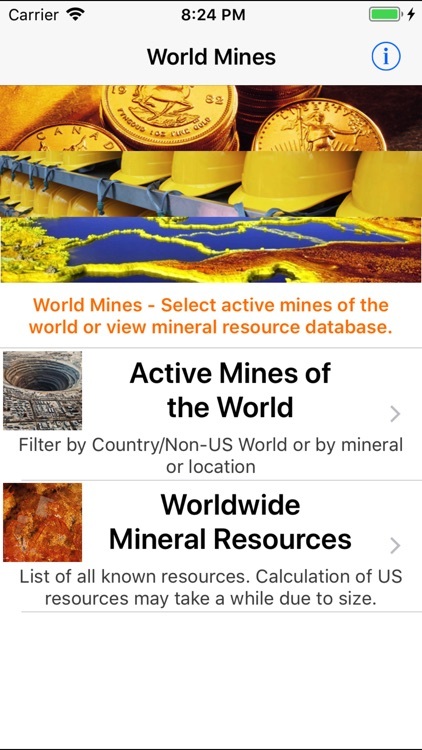 Can be used by anyone with an interest in mineralogy or geology. Whether in the business, student, hobbyist or even prospecting! 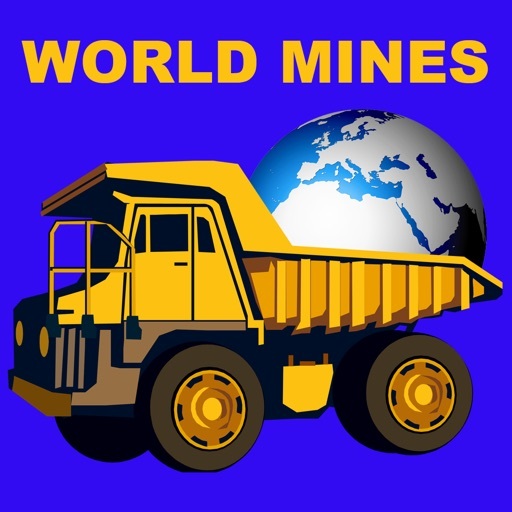 The application database contains over 320,000 mines and mineral resource locations all over the world. 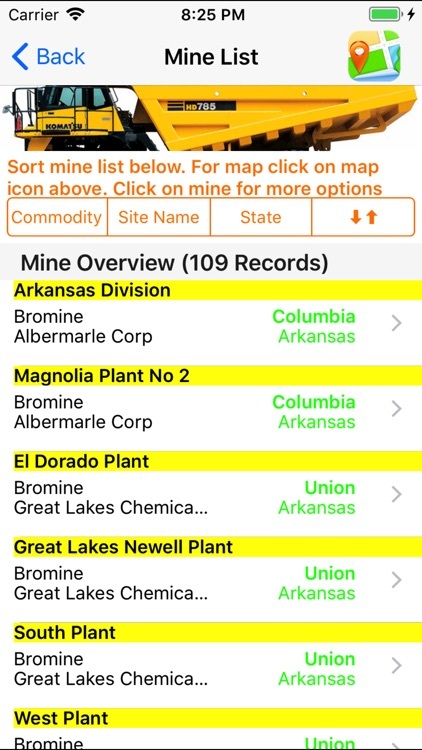 You can filter locations by active mines, mineral resource locations, country, and even non-us world. 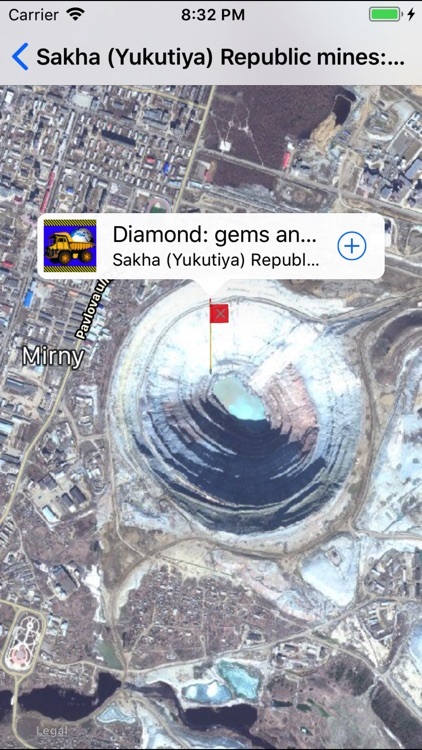 You can sort locations by Site Name, Location, Commodity, Capacity, Mineral. 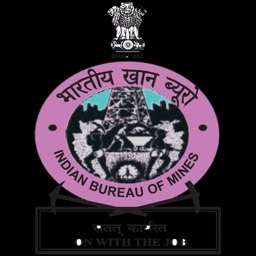 • View detailed database for each mine/resource. • Show individual resource on map. • Show compass directions to resource (may be useful if in forest, desert or jungle!!). 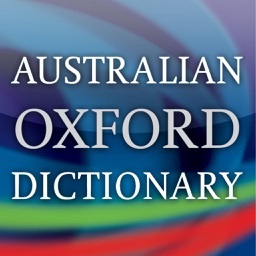 • Show resources near an entered location. 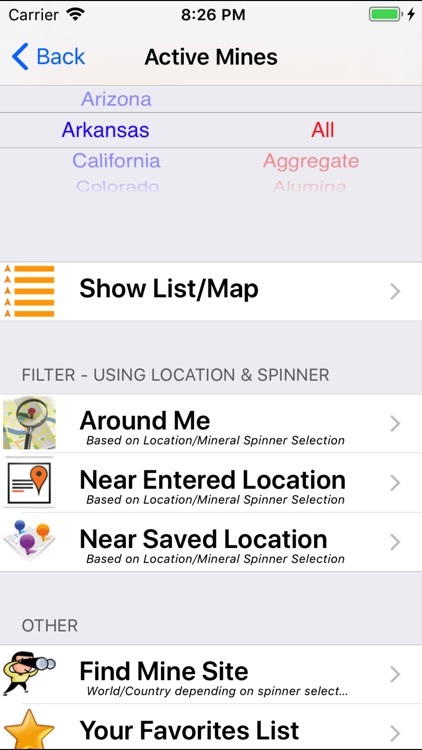 • Save and show resources around saved locations. 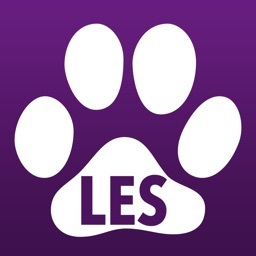 • Search database for locations (sites) by names. Data supplied by U.S. Department of the Interior.